Gudmund Hernes, new chair of the Uppsala University Board starting 1 May. At the beginning of April, the Swedish government announced the external members appointed to the Uppsala University Board. The new chair, starting 1 May, will be Gudmund Hernes, former minister and professor emeritus at Oslo University. The staff board members were selected earlier in the spring. “I look forward to working with the new board members. There are many challenges in the world around us and universities have an important role,” says Vice-Chancellor Eva Åkesson. The University Board consists of 15 members including the chair. A majority of the members are selected by the Swedish government. The University’s Vice-Chancellor is a permanent member of the board. Additionally, three board members are selected by the teaching staff at the University and three members are selected by university students. The staff organisations each select a representative with the right to be present and take part in discussions, but not to vote. 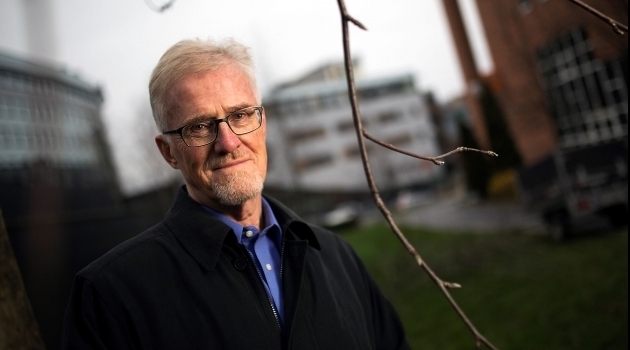 Gudmund Hernes is Professor Emeritus of Sociology at Bergen and Oslo universities, Professor at the BI Norwegian Business School in Oslo, author and former politician and minister for the Norwegian Labour Party. He was Norway’s Minister of Education, Research and Church Affairs 1990–1995, Minister of Health and Social Affairs 1995–1997, and led the research team in the Norwegian inquiry on power 1972–1981. He is a prominent researcher, a member of the Norwegian Academy of Science and Letters, and author of several books including Makg og avmakt: En begrepsanalyse (Power and Powerlessness: A Conceptual Analysis) which has been named one of Norway’s 25 most important contributions to sociology. Which important challenges face a university such as Uppsala? “Furthering the universities’ classic mission: the freedom to study what you want, the freedom to teach based on your own convictions and the freedom to conduct research based on your interests. It arises in the meeting between knowledge transfer and the gathering of new knowledge. Society has long experience of unbounded searching for true knowledge paying off in terms of human wellbeing and capability – there’s nothing as practical as a good theory. “But universities are under increased pressure. In many countries and from many directions there is what you might call a new battle against enlightenment: research results are being denied, scientific procedures are being pushed aside and in some places funding is being weakened. What do you think your previous experience can mean for your new assignment? “I have a whole life’s experience of universities from the inside, as a student and professor in Norway and in other countries. I have also worked with conditions for universities in several countries. I take on this task with a great desire to learn, and I look forward to working together with Vice-Chancellor Eva Åkesson, the staff and students that have made Uppsala a world-leading institution, and to the teamwork of the University Board. Three students will later be selected for the board by the student unions and the Doctoral Board, starting as board members 1 July.